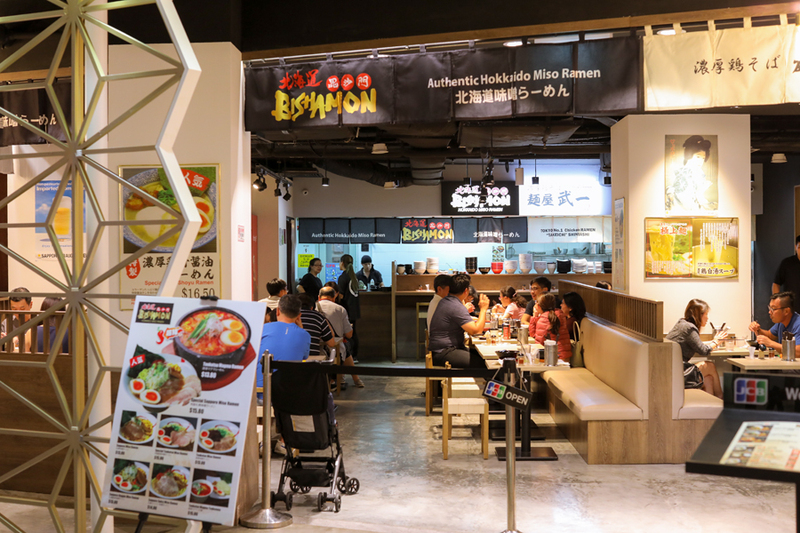 Ramen eatery Bishamon has returned to Singapore after a 4-years absence. 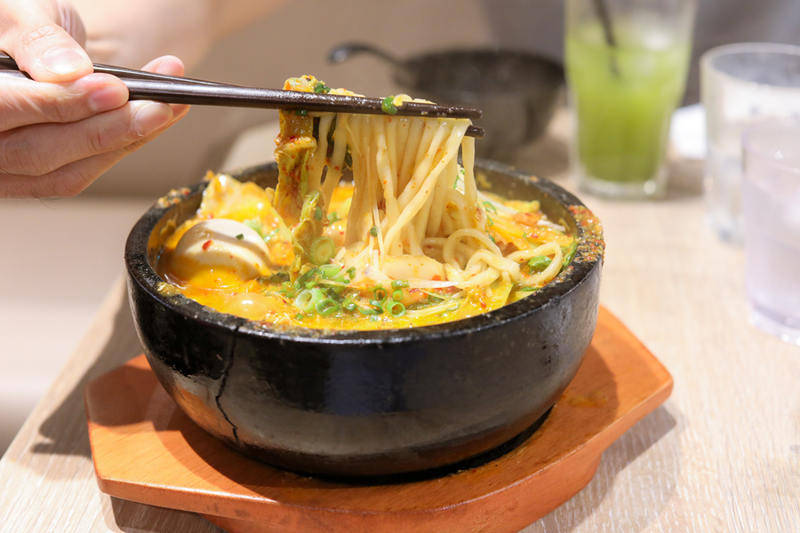 Bishamon’s fans will remember it for its Sapporo-style miso ramen, categorised by moderately curly yellow noodles and broth cooked with three types of miso – red, white and black. 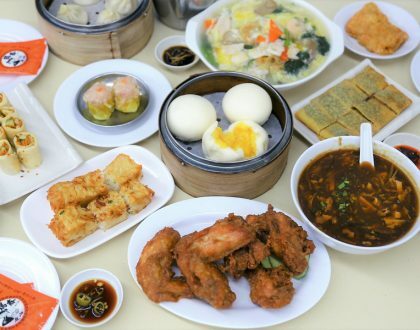 However, instead of a full shop-front, it will be sharing restaurant space with chicken ramen chain Menya Takeichi at Eat At Seven, Suntec City. That means you can order noodles from both brands. 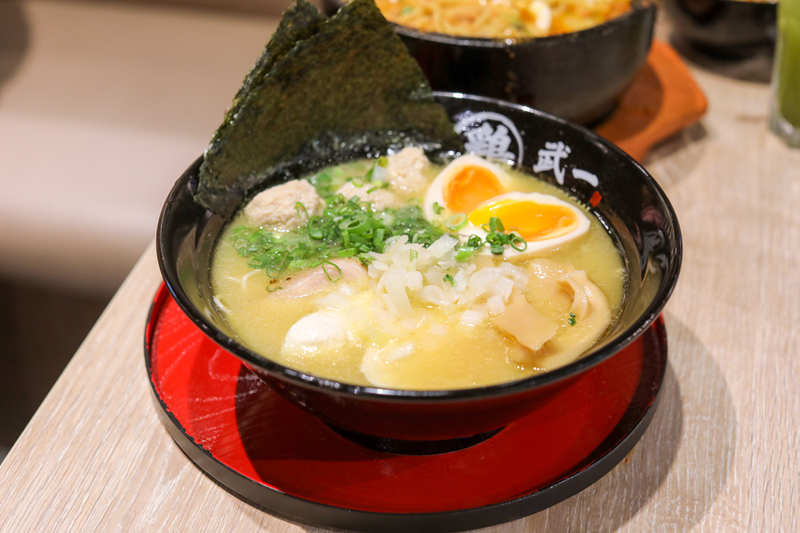 It signature is the Special Sapporo Miso Ramen ($15.80), topped with large slices of kurobuta pork collar cha shu, along with a medley of corn, bamboo shoots and soft-boiled eggs. The cha shu is said to be chilled for 24 hours before it is sliced and served atop the ramen. 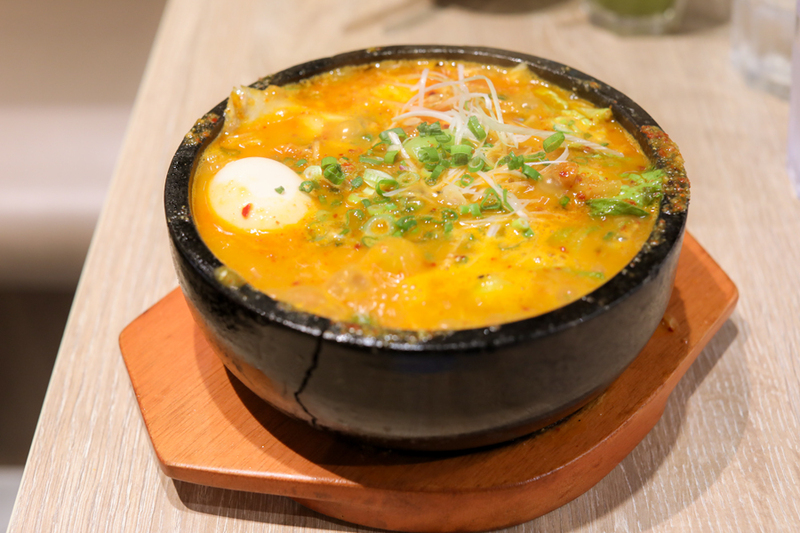 I was recommended the Tonkotsu Magma Ramen ($13.80), served in a hot stone bowl, with bubbling broth that suggested that it would be very spicy. The server warned that it was a Level 5, cooked using a blend of 6 different spices. It was definitely fiery and not for the faint-hearted. All in all still manageable, but I felt that the spices covered up the taste of the rest of the ingredients, and I couldn’t really enjoy to its fullest. If you want something that is safer, Menya Takeichi serves up milder chicken broth ramen with thin eggy noodles. 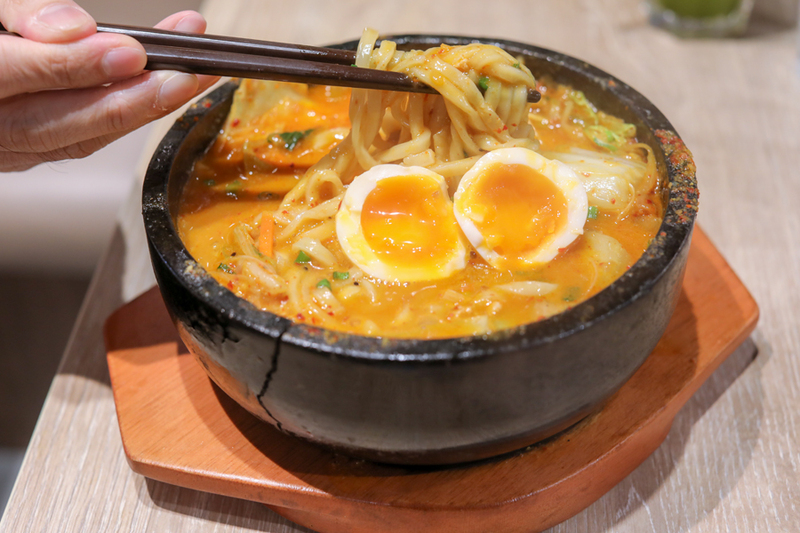 The only thing was, despite being told that the Magma Ramen would take a while to arrive as it was served in a hot stone, the chicken ramen actually came much later than it.